Most people look at music festivals as one big concert, but the truth is, music festivals are a whole new breed of concerts. 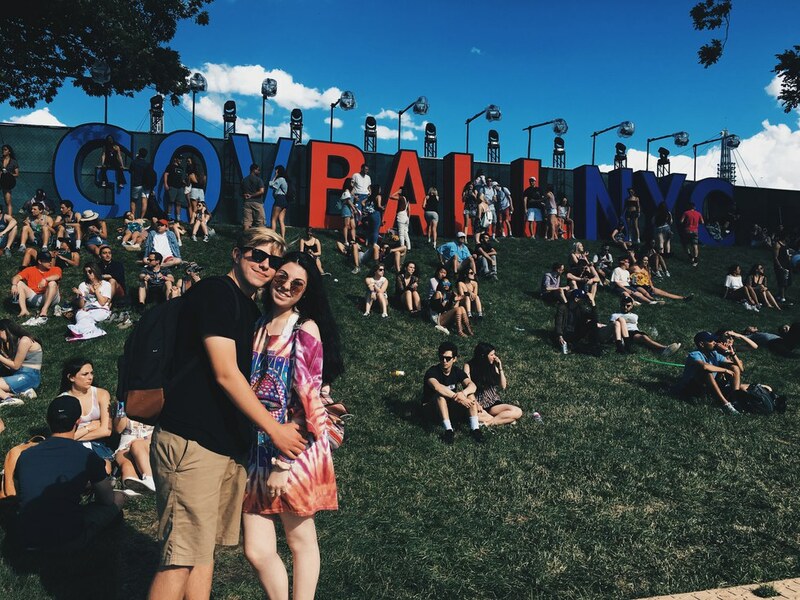 Music festivals include (but are DEFINITELY not limited to) Coachella, Governors Ball, Lollapalooza, Bonnaroo, or even your hometown Bluegrass festival. Words can't describe the excitement leading up to the day of the festival, especially when you bought the tickets almost four months in advance. Tickets can sell out very quickly, which is surprising given the number of people that the venue can typically hold. Once those tickets are yours, though, you have nothing but fun on the horizon. Festivals are about way more than just the music, and you learn that quickly. Hopefully, I can be of some help in that! I went to Governors Ball on Randall's Island this past June. Being from New Jersey, I had no idea what the heck Randall's Island was. Let alone how to get there. Leading up to the event, I got several emails about how to get onto the island. There were THOUSANDS of possibilities. I could Uber, take the subway, take the train, drive, or even walk from New York right onto the island. I took an Uber, which was very expensive due to the number of people needing Ubers all at once. Find what's best, safest, and cheapest for you! There are usually options! Festivals make it as easy for the music lovers as possible, and that's just the beginning! The day I went to, the Friday, had all of the headliners that I wanted to see. Some of the headliners included Lorde, Flume, Schoolboy Q, Kehlani, Tove Lo, and my all-time favorite, Chance the Rapper. My main reason for coming to GovBall was definitely Chance the Rapper. All I could think of was the fact that I could FINALLY see "Sunday Candy" live. I learned about so many new artists and saw artists that I'd never see if they came to my area. I'm thankful for that! Wow. That is all I can say. When I walked through the gates, there were tons of booths selling delicious, Instagram worthy foods. They had EVERYTHING: from edible cookie dough to chicken nuggets to ice cream to tacos to burgers to even a classic funnel cake. I had chicken nuggets, which were AMAZING. And, of course, I had to check out the funnel cake, which was also great. Bottom line is if you want to go to a music festival, but don't know many of the artists, at least do it for the food. The makers of GovBall 2017 put a lot of work into the art of the festival. There were huge pieces of art placed all over the venue, of course, another Instagram worthy aspect of festivals. C'mon, everyone loves a good Insta post! 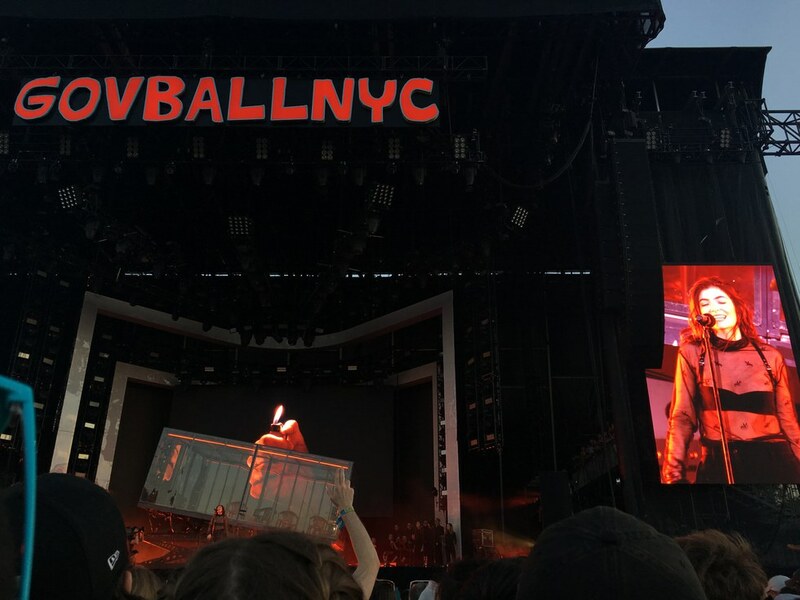 My favorite, though, had to be the HUGE sign that said "GOV BALL NYC." It was so huge and so perfect for pictures with your friends. There was always something to do here. The activities were geared toward everyone that could have been there: adults, teenagers, and kids. I saw things like hair braiders, photo-ops, mini golf, lawn games, and so many other things. Good festivals always know how to keep the people having fun! Drink water! Water bottles can be expensive, especially if you're there from 11 AM to 11 PM. Instead of buying water bottles over and over again, they had water refill stations! Many festivals do this so that people don't get dehydrated and have to leave in an ambulance. STAY HYDRATED. I saw so many people passing out. Hydration is key. They're only looking out for your health, and so that you can have the best time possible. If you're a major people watcher like me, you will love festivals. The fashion statements, made by people of all ages, are so awesome! I watched people walk by for hours. Festivals are a lot of fun, but in an atmosphere where alcohol and drugs (if legal) are permitted, you have to be very careful. The crowds can get wild, trust me. I got separated from my best friend in the crowd for Chance the Rapper, and it was SO scary. If it gets to be too much for you, just move back! The view from the back can often be better than the front row. Plus, you don't have to fight with crazy people that are willing to die for their favorite rapper. It's no secret that festivals can get expensive. It can range from $100 for one day to almost $400 for the whole weekend. It's not cheap! My boyfriend surprised me with tickets, and I was shocked! Once you get into the venue, it doesn't get cheaper from there. I paid almost $15 for eight chicken nuggets, it was crazy. However, worth it! Plus, it's as expensive as you make it, not every festival will be crazy expensive. Just know, and make sure that you have money on you! OK, I get it, this is the total how-to. Above all of these things, though, make sure to have fun with your friends! Make new friends! Do ya thing!